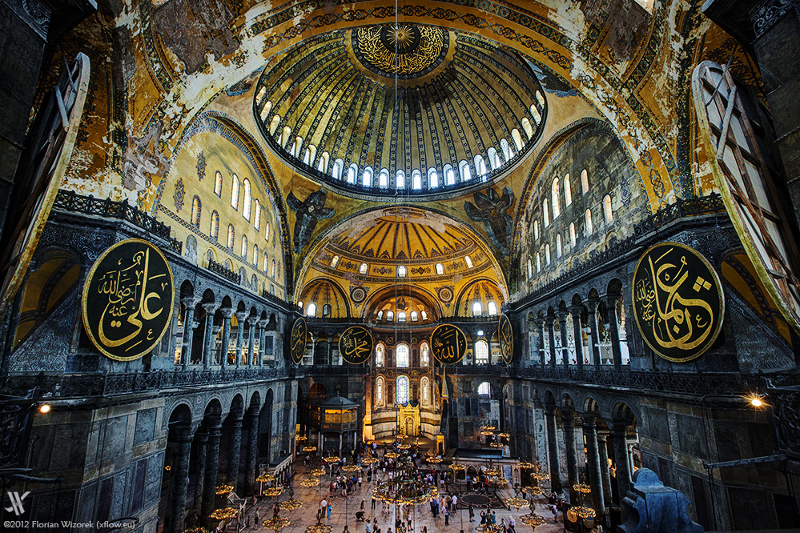 The Hagia (Holy) Sophia (Wisdom) is a stunning domed building built as a Greek Orthodox cathedral in 537 when Istanbul, then called Constantinople, was the capital of the Eastern Roman Empire(also known as the Byzantine Empire). 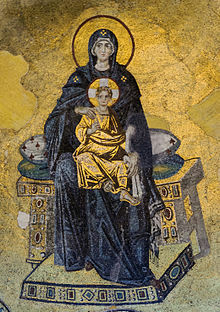 Between 1204 and 1261 it was a Roman Catholic cathedral. 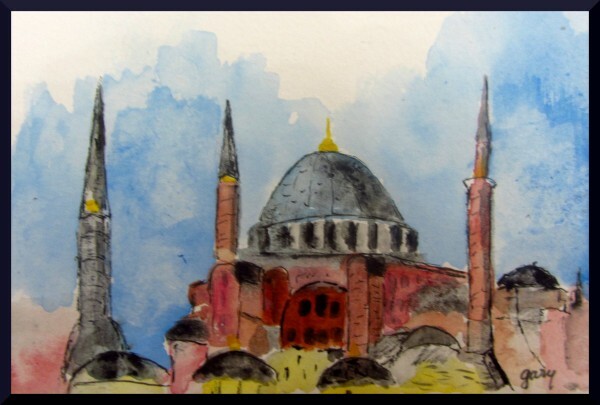 Following the conquering of the Empire by the Ottomans in 1453, the Hagia Sofia became a mosque. In 1931 it was closed and then converted into a museum, which it is still. The minarets and round domes give it an Islamic setting, and some of the interior maintains that influence as well. Nonetheless it is an impressive structure, notably the dome, and for 1000 years it was the largest cathedral in the world, replaced in 1520 by the Cathedral in Seville. Here are some stock photos of the interior. It is way too dark and large for me to get good photos. 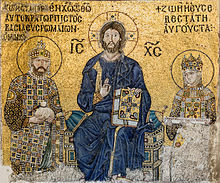 These are mosaics! 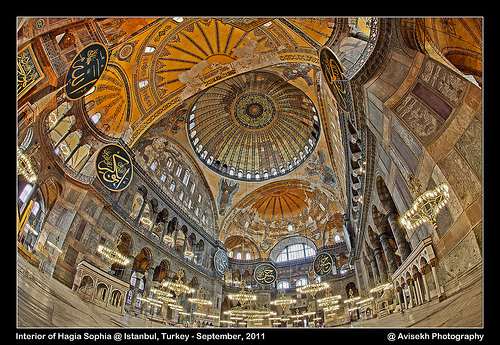 Tagged Gary J. Kirkpatrick, hagia sophia, istanbul, tourism, travel, Turkey. Bookmark the permalink.